The term Dansaekhwa, or “monochrome painting,” may elude readers unfamiliar with Korean, but it represents arguably Korea’s most important art movement of the late 20th century. The artists who practiced this approach to painting began to emerge in the early 1970s, when the Republic of Korea was still under a military dictatorship. They included Park Seo-bo, Ha Chong-hyun, Yun Hyong-keun, Kim Whanki, Chung Chang-sup, Chung Sang-hwa, and Lee Ufan, among others. These painters were dissatisfied with the cultural lassitude in South Korea and began painting in a manner that challenged the normative aesthetic to which most Koreans were accustomed. At the outset, the artists worked independently without a group name or identity. It wasn’t until a 2000 exhibition at the Gwangju City Art Museum that the term Dansaekhwa was introduced. The appearance of the word coincided with the 20th anniversary of the Gwangju uprising, an important moment in modern Korean history when protesters took to the streets to defy the military dictatorship in control at that time. In many respects this uprising was comparable to the Tiananmen Square protests in Beijing nearly a decade later. Similarly, in Gwangju, armed soldiers opened fire on students and ordinary citizens in a series of clashes that cost hundreds of lives. This sad but decisive historical event is generally cited as the end of the military government in South Korea and the beginning of a free democracy as the Republic is known today. Throughout the 1970s, prior to the Gwangju uprising, the oppressive regime was a binding force in the underground among the Dansaekhwa artists in Seoul. Rarely does an artist’s statement sound so accurate in its description of the process of painting. 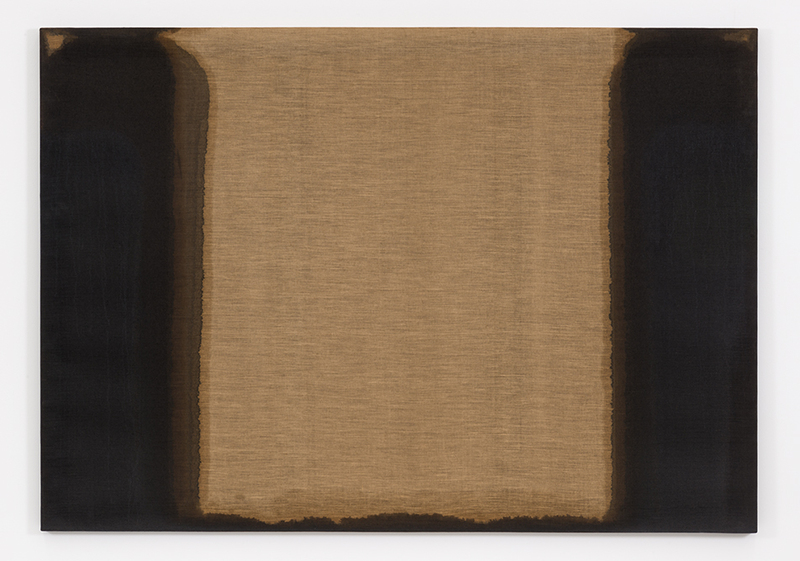 Sensing this quality in Yun’s work is perhaps what led the Minimalist sculptor Donald Judd to embrace the lesser-known Korean artist’s paintings in the early 1990s. Judd’s introduction to the artist’s work, and finally to the artist himself, eventually led the Minimalist to collect and install a selection of Yun’s paintings at the Chinati Foundation in West Texas (and later in New York City). The exhibition at Blum & Poe is the first in NYC since Judd’s collection of the artist’s work was first shown here 18 years ago. Among the recent constellation of exhibitions featuring Dansaekhwa artists in New York, Yun’s paintings appear deeply reflective, stalwart in demeanor, and inexorably distilled in terms of the artist’s hermetic style of organic and geometric shapes and colors. Another of the Dansaekhwa artists, Ha Chong-hyun, matched Yun in his long-term commitment to a specific series informed by a conceptual and spiritual framework. Ha’s important work, called Conjunction — and currently the subject of a show at Tina Kim Gallery — began in the early 1970s. His canvases tend to vary more than other Dansaekhwa painters, but they retain a consistency through their aggressive reductivism. Ha’s forms do not easily budge from his approach to 17th-century, Joseon Dynasty painting, in which the pigments are pushed from behind the linen (or, earlier, coarse burlap) through the weave and porous apertures. Once the pigments pass through to the frontal plane, the artist begins to model and scrape the viscous paint using flat knives and trowels. Ha’s work has a gritty, nearly obsessive look. His undulated surface results from the manner in which he pulls the paint up from the bottom or down from the top into scroll-like fragments. These fragments are powerful and tenacious as they fundamentally control the manner the surface evolves. Occasionally, Ha will use the knives to incise Korean signs (Hangeul) into the surface, defiantly scratching an entanglement of marks. This rough maneuvering gives an unequivocally smooth appearance to the paintings that might seem contradictory to Westerners, but from a Korean point of view it is paradoxical, meaning it is connected to the Taoist notion of yin-yang. These two manifestations of energy (qi) function ineluctably as a single force within the universe. Put another way, light is perceived through darkness,, creativity is perceived through destruction, and so on. Ha’s fragmented signs, swiftly etched into the painting’s surface, reflect his defiance against the arrogance of power in his country’s recent history. Borrowing from the methods of painters working during the Joseon Dynasty (1392–1897), he gives their historic process a place in the present era of postmodern globalism. Like his Dansaekhwa colleagues, Chung Chang-sup (1927–2011) used a single concept to articulate what he was doing. Rather than give individual titles to his paintings, his work revolved around a single concept, Meditation. The exhibition of the same name at Galerie Perrotin includes early paintings from the 1980s and ‘90s, but also from the last years of his highly productive career. 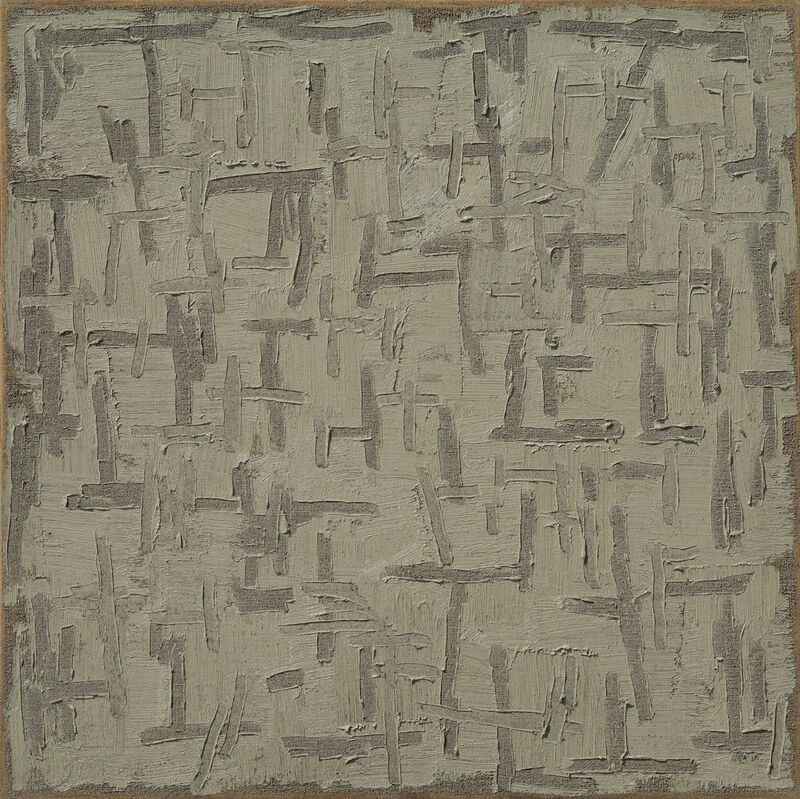 Like Ha, Chung used traditional techniques, focusing on the qi (or intrinsic energy) he believed was instilled within the spaces of the painting. 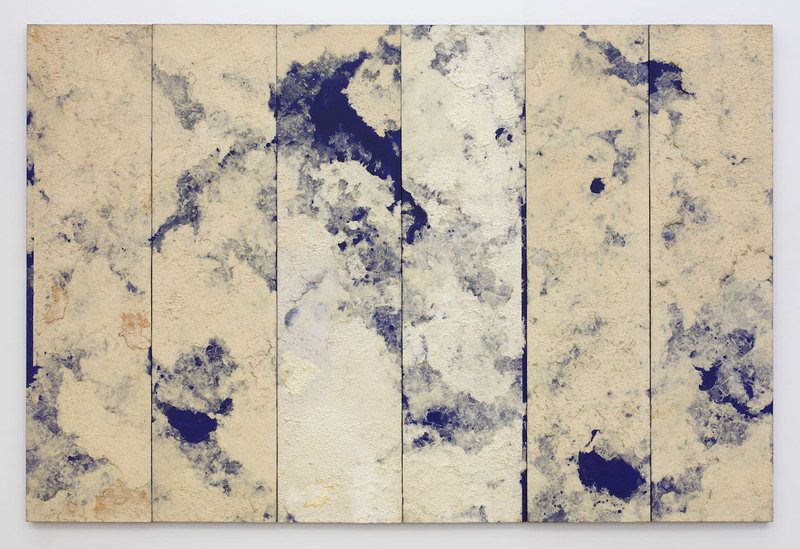 Chung’s monochrome imprint is indelibly present in his work, with its palette of minimal pigments drawn from the soil, including charcoal black, dark blue, white, densely applied red oxide, and other light and dark earth colors. The resonant colors and unfettered application of pigments in these artists’ paintings retain a consistency that is emblematic of Dansaekhwa. They are conceptual paintings conveying an Eastern point of view, specifically Korean in their taut and rugged physicality. Even in those pre-internet days, it is probable the artists were aware of New York Minimalism, but this should not imply that it was the catalyst for these paintings. The orientation of Minimalism tended toward objects in real space and real time, and toward the role of the body as a means by which to articulate perception. The Dansaekhwa artists were not involved in the kinds of pragmatic concerns that interested the Minimalists. Their emphasis was on a fundamental approach to painting that involved a particular, cultural reading of nature. Indirectly, their paintings resisted expectations about the kind of art produced under an authoritarian regime. They painted from the roots of the earth with their own pigments and their cursive sense of structure. The Dansaekhwa artists somehow found a way within their own history and culture to make something universal happen, even as they worked in relative obscurity throughout most of their lives. What contemporary viewers may discover in the work of the Korean monochrome painters is how deeply nature is felt through the act of painting, and how clearly they find affirmation in this process — totally at one with themselves, simply doing their work. 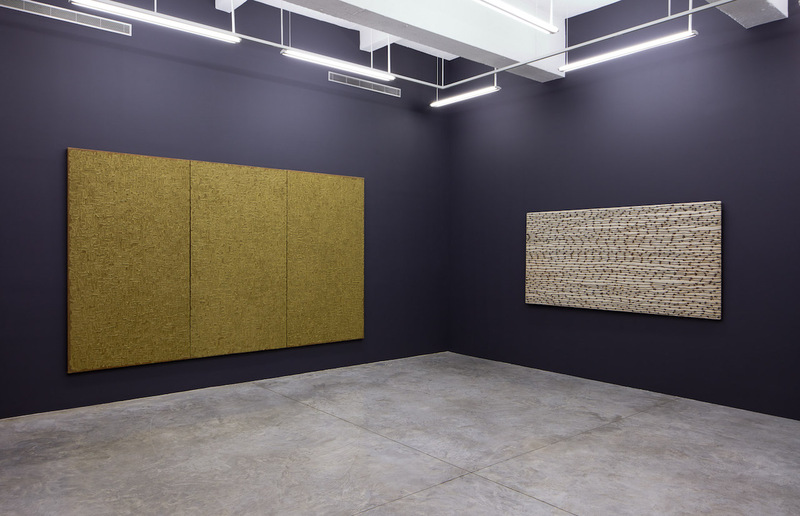 Ha Chonghyun: Conjunction continues at Tina Kim Gallery (525 West 21st Street, Chelsea, Manhattan) through December 12. 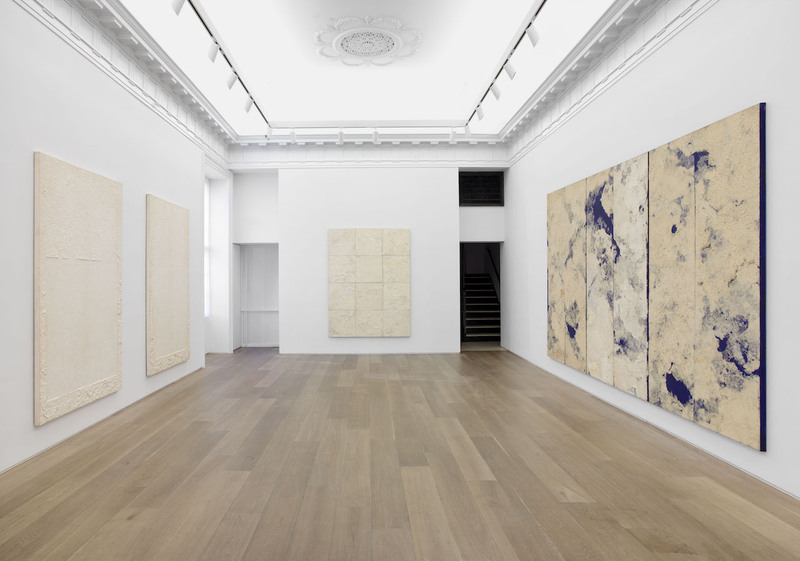 Chung Chang-Sup: Meditation continues at Galerie Perrotin (909 Madison Avenue, Upper East Side, Manhattan) through December 23. 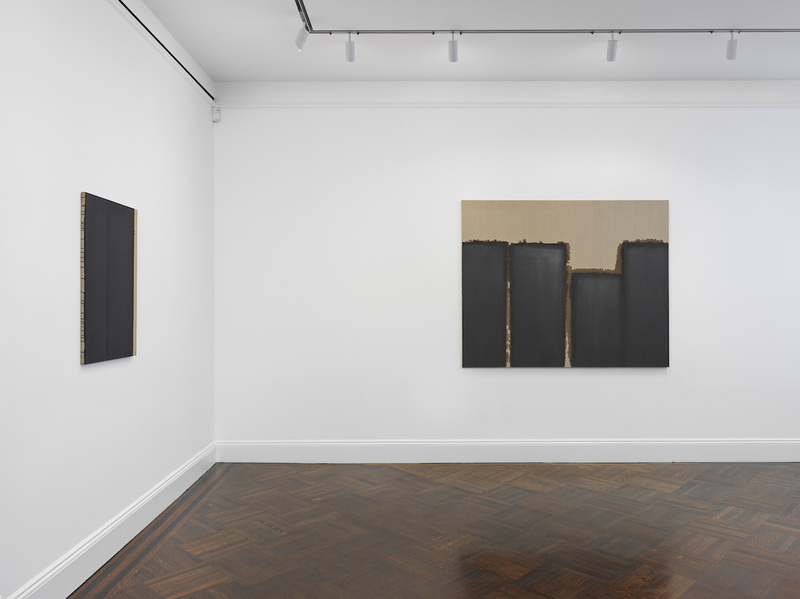 Yun Hyong-keun continues at Blum & Poe (19 East 66th Street, Upper East Side, Manhattan) through December 23.